Little Bird and I ventured out of the house the other day to check out Paint the Walls. (Baby came too, but she mostly snoozed.) 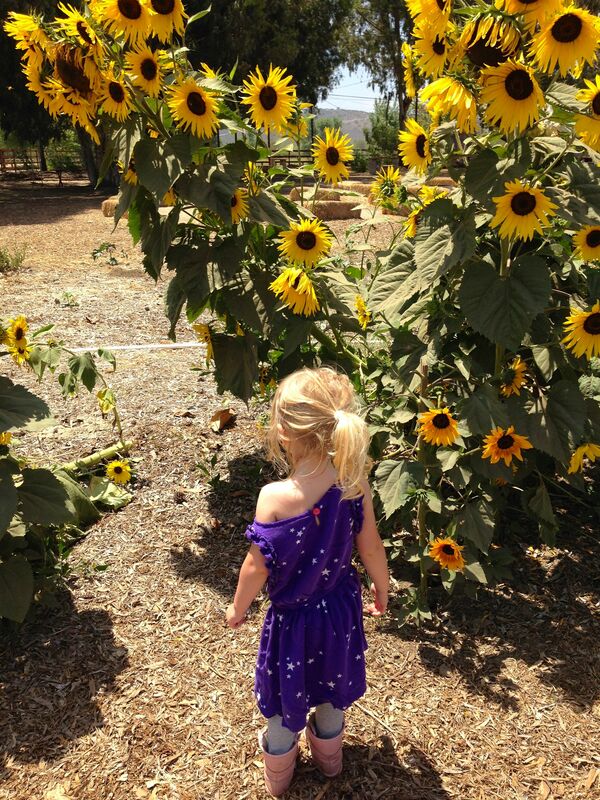 It’s a great place for kids! 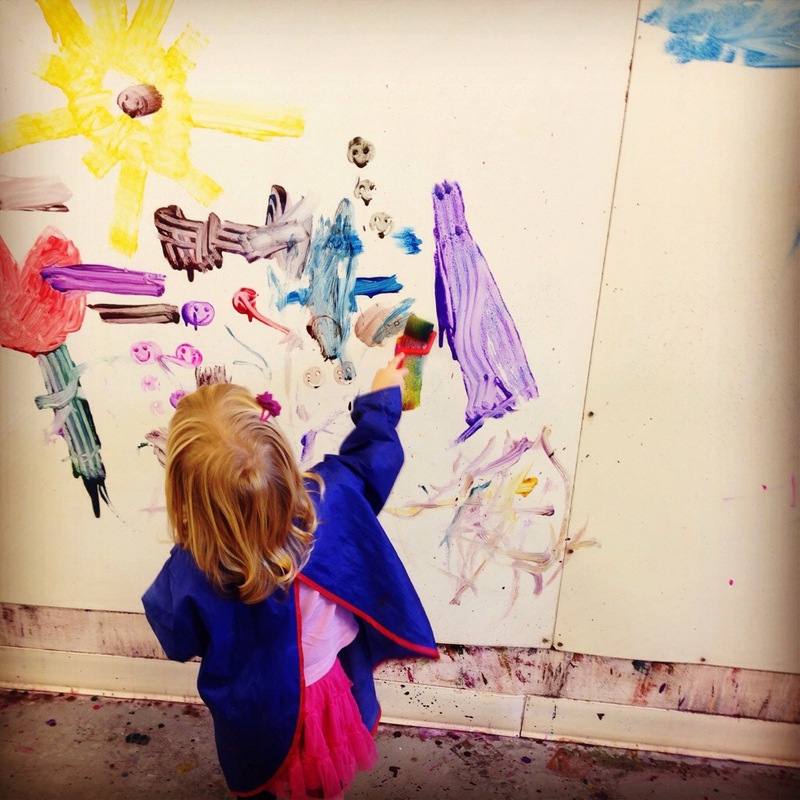 For all the times I tell her not to color and paint on the walls, finally she got to go wild and paint. The best part? I didn’t have to clean anything up! 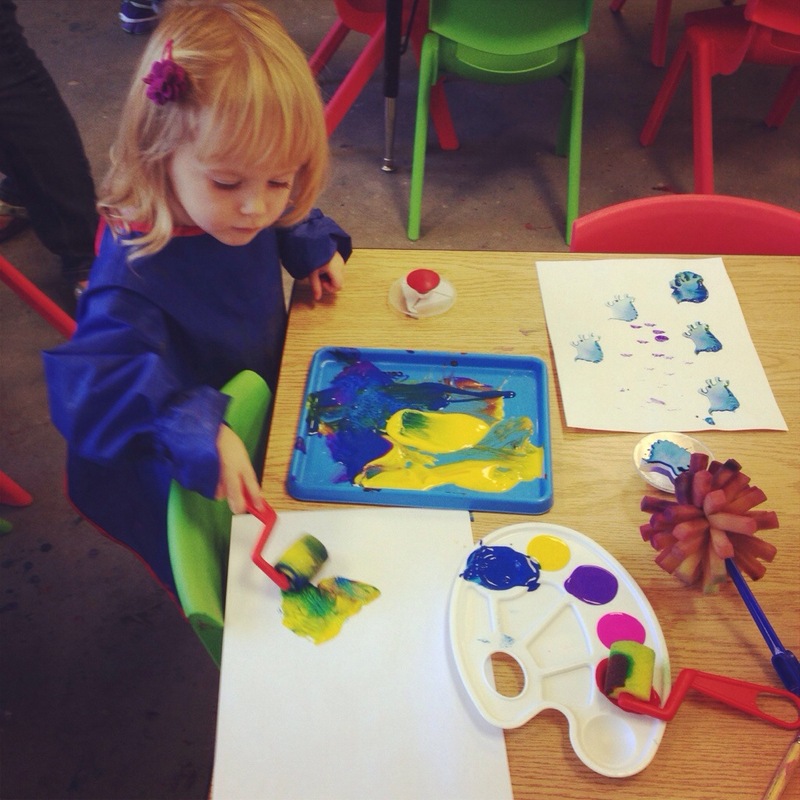 They provide all the art supplies, smocks and even have some yummy snacks available. For $10/child (and $8 for a 2nd child), you can come as a drop-in. Infants are free. 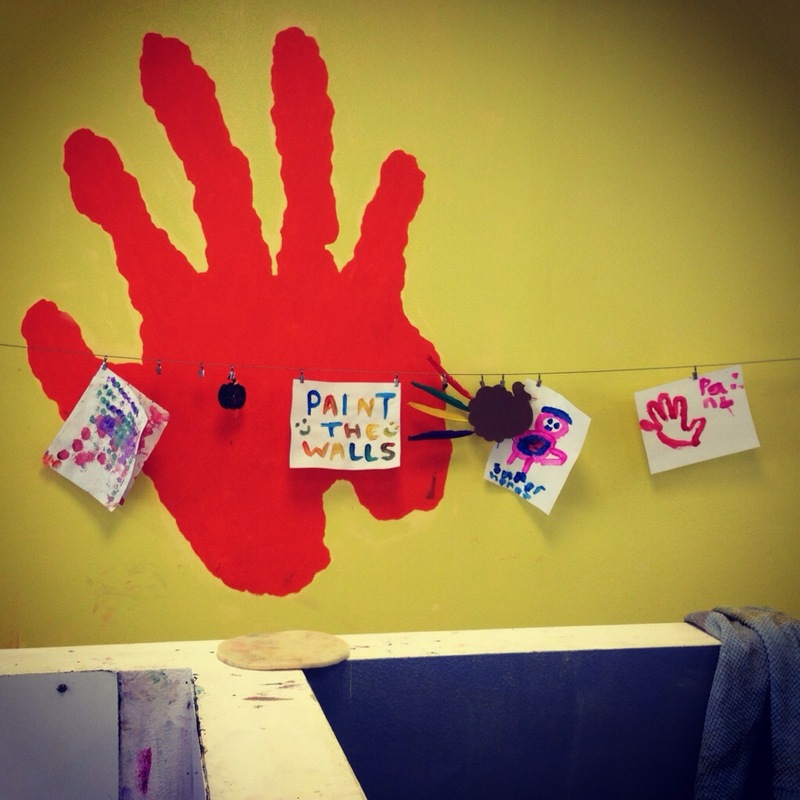 Parents are free and are expected to stay, although Paint the Walls does offer drop-off camps during school holidays. 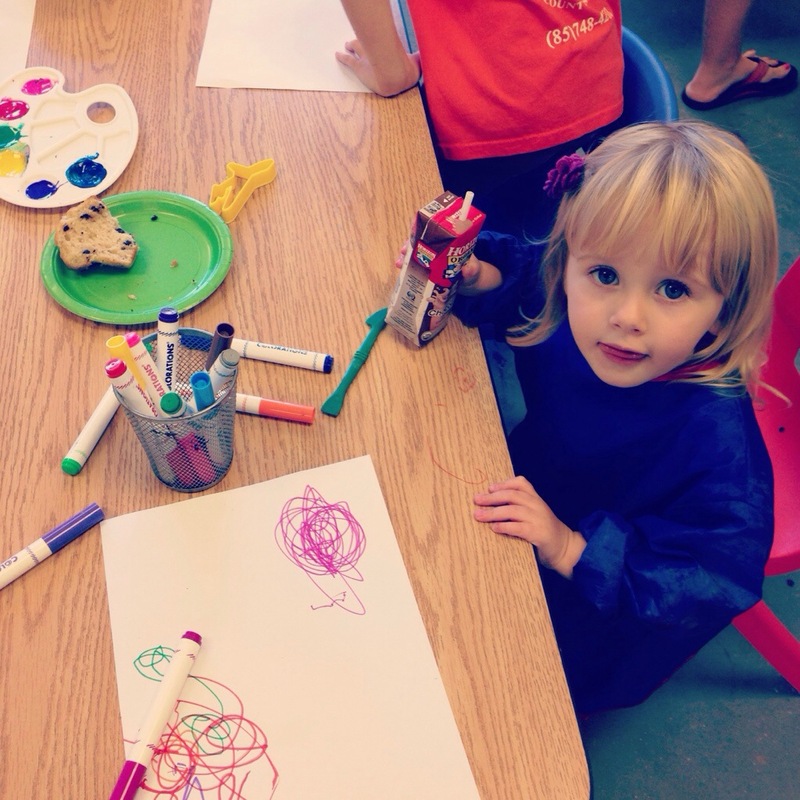 Unlimited paint, paper, pens and play dough are included. And did I mention that they clean up? The paint is washable and they use natural cleaning products to clean off the walls at the end of the day. There are also chalkboard walls and chalk. Disclaimer: We were invited, along with a few other bloggers, to check out Paint the Walls for free. But all opinions are mine, and we definitely plan on going back again as civilians. Paint the Walls has been in Poway for a little while, but was bought by a local family two weeks ago. Kathy and Kathy are super sweet and very welcoming. They also shared a tip: look out for a Living Social promotion this Wednesday. Along with the open art time, they also book private birthday parties. 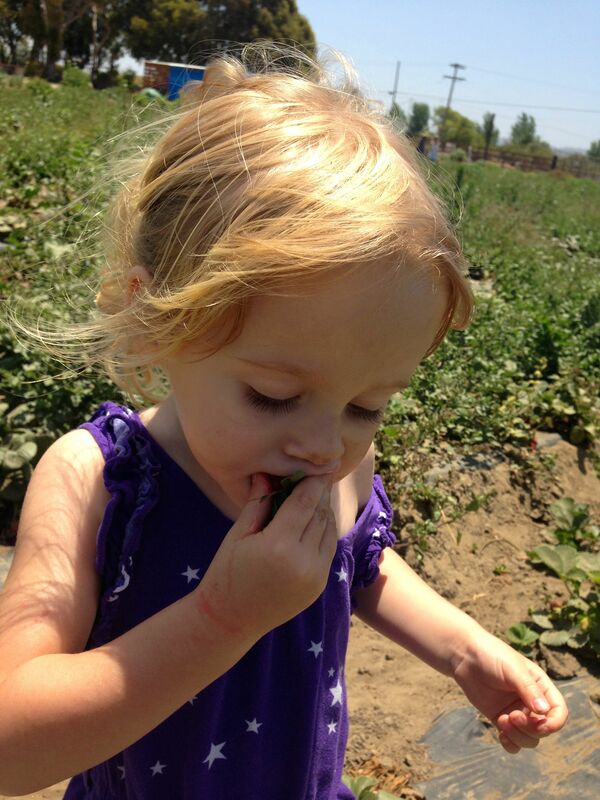 Recently, an 8-year-old girl hosted 20 friends. At her request, the chalk wall area was turned into a dance party. Check the website for a promotion on parties booked during the month of November-perfect for the cooler months. It is not on the website, but they also offer a discount for “mini parties” of less than 9 children. They seem pretty accommodating, so I recommend just talking to the owners about anything you have in mind. For example, they have partnered with Green Kid Crafts in the past (another cool local business) and, just brainstorming, perhaps could order creativity kits for your party? 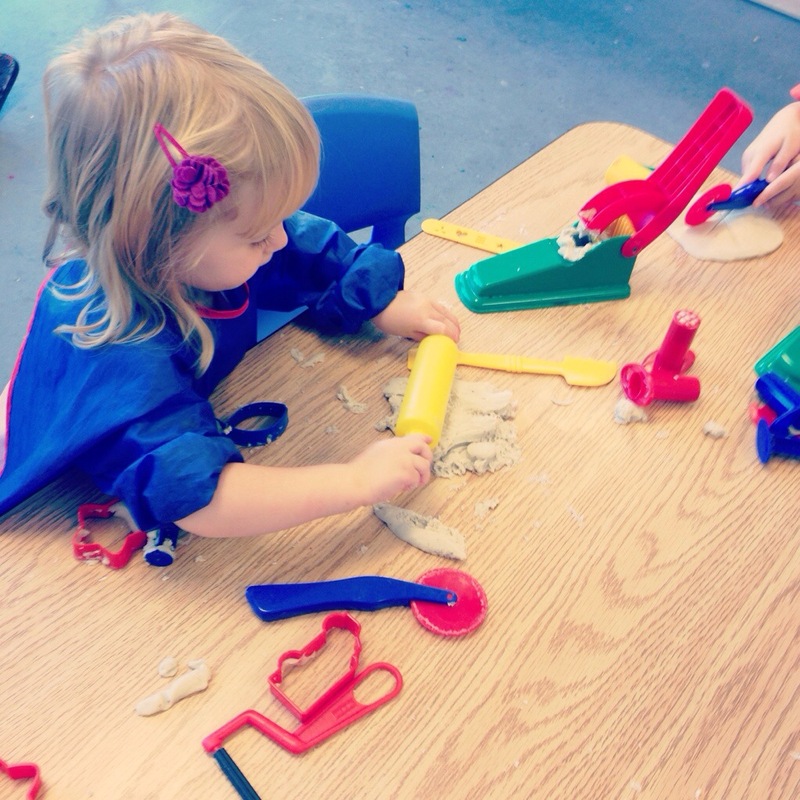 I love that the play dough is homemade. And I’m pretty sure it had some sparkly glitter in it. Hmmm, they offer discounts to play groups… Little Bird just might have to get some of her friends to come back with her!